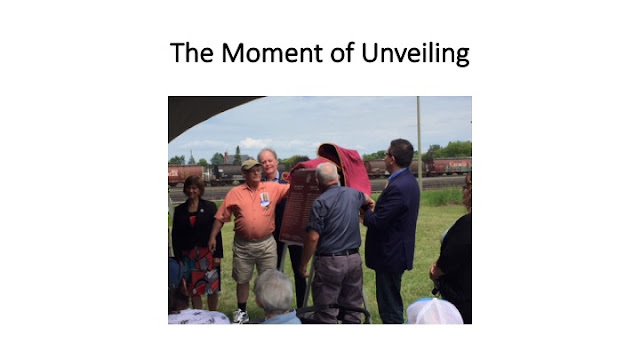 There was a short and well attended ceremony and plaque unveiling today at the Western Grain By-Products Elevator Site on Kingston Street held by the Historic Sites and Monuments Board of Canada and Parks Canada. 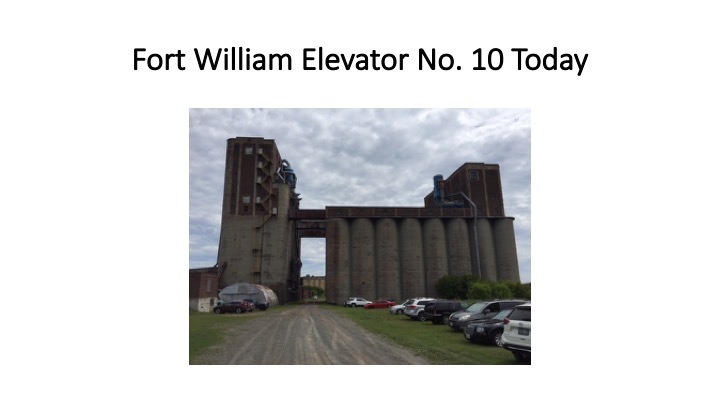 The elevator is the former Fort William Elevator No. 10 which was built in 1913 at the peak of the Canadian wheat boom. 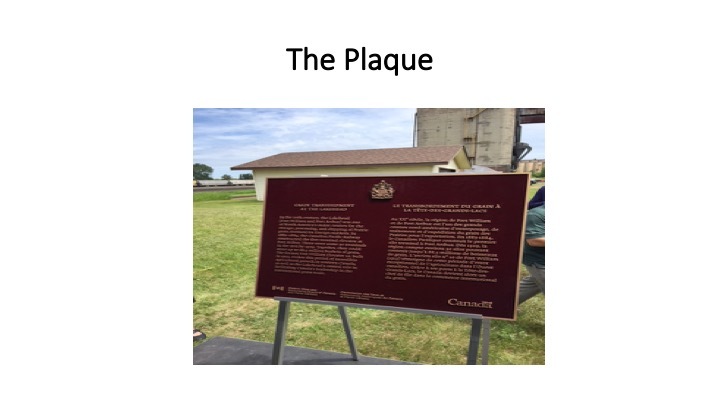 The plaque is the outcome of a long period of lobbying and work by the Friends of Grain Elevators and commemorates the role of the grain elevators at the Lakehead twin cities of Fort William and Port Arthur in facilitating Canada’s role as a leader in the international grain trade. The development of the grain industry and its transportation infrastructure during the Wheat Boom period of 1896-1929 was an event of national historic importance given that it represented the fulfillment of the national economic strategy envisioned by the Fathers of Confederation. Under the criteria for events of national historic significance, the development of the grain industry and the grain transport infrastructure at the Lakehead (the former twin cities of Port-Arthur-Fort William, now Thunder Bay) qualifies as a “defining episode” in Canadian history. At the Lakehead, the rail and water components of the grain transportation system came together in a transportation node that linked together the economy of Canada. Along with the fleets of grain transport steamers, the twin cities also became key points for the three national transcontinental railways that were completed during the boom era. As well, at the Lakehead, the grain transport sector played the role of a booming sector in Thunder Bay's economic development. Between 1905-1929, grain shipments increased seven-fold and for much of the 20th century The Lakehead was the largest grain port in the world and Canada accounted for the bulk of the world’s grain exports. At its peak, over 30 grain terminals lined the harbour with a storage capacity of nearly 100 million bushels. Today, fewer than a dozen of these giant “Castles of Commerce” (as they were so aptly named by Rudyard Kipling) remain along the waterfront. Many of the key players in the development of the Lakehead’s grain transportation role and the Canadian grain industry in general such as C.D. Howe and N.M. Paterson also went on to contribute their expertise to the national political stage. Grain transshipment at the Lakehead is an economic event of national historic significance in that it played the cementing role in the east-west grain transport infrastructure of the Wheat Boom era, a key stage of Canada’s development. It represents a fulfillment of the key ideas of the National Policy economic strategy and represents a tangible application of those ideas in Canadian economic and historical development. Without the Lakehead, there would have been no east-west economic flow. Today’s ceremony was recognition of The Lakehead’s important role in Canadian economic history.